SPECIAL REPORT: The world’s biggest asset manager, BlackRock, now aims to be a global leader in sustainable investing. “We are only at the early stages,” he said, estimating that the investment in ETFs (exchange traded funds) with a sustainability focus would rise from a current $US25 billion to over $US400 billion within a decade. The numbers look big, but the money in sustainability is only a fraction of the global investment universe. The $US25 billion worth of sustainable ETFs is miniscule against the $US5 trillion in all ETFs. And the $US7 billion that BlackRock manages in sustainable ETFs, whilst about 25 per cent of the current market, is a fraction of the $US1.75 trillion in all BlackRock’s ETFs. The campaign calls on BlackRock to sell out from fossil fuel companies that will not change their ways; to create fossil fuel and deforestation free funds; to push companies to align with the Paris climate agreement; and to pressure those companies in which BlackRock has an investment but which are dragging behind on sustainability. 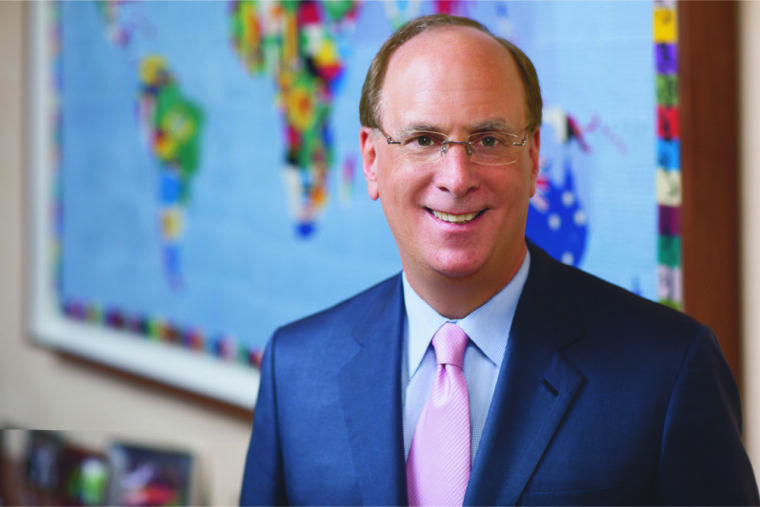 BlackRock answers the challenge in three ways. In October BlackRock launched a number of ETFs to help investors build “broad, diversified sustainable portfolios”. BlackRock also released ESG analytics and carbon intensity measures for the new funds. By early next year those metrics are expected be applied to all BlackRock’s iShares ETFs. The group also manages about $US50 billion in sustainable strategies and another $US450 billion in funds where investors have chosen to exclude products like tobacco or weapons. Australian institutions can invest in BlackRock’s ESG screened global equities index fund and a screened emerging market equities index fun. Some Australian institutions also buy into BlackRocks ETFs overseas. Fink says sustainable investing does not involve a trade off between a higher ethical or sustainable outcome and a lesser financial result. “We are going to see evidence over the long term that sustainable investing is going to be at least equivalent to core investments. I believe personally it will be higher,” he told the FT.
Blackrock defines sustainable investments as those with a positive social or environmental impact as well as good financial results. In some cases that involves screening out companies in sectors like fossil fuels or tobacco. In other cases, the investments are in low carbon use or renewable energy. A director of BlackRock’s sustainable investing team, Jessica Huang, says the way companies are changing their emissions, and the rate of change, is just as important as the absolute level of emissions. “Its not just about good companies or bad companies,” she says, speaking by video link from San Francisco last week. “Companies may screen poorly on some metrics but better on others. And those poorer ratings can be addressed through the stewardship process. “Carbon emissions are a proxy for efficiency. Companies are doing more with less. One of the priorities of BlackRock’s stewardship program is ESG disclosure. “We want to see climate competent boards and we want to see diverse boards,” Huang says. Huang says much of the work underway involves measurement, particularly the publicly available measures, which are the ones with which BlackRock has to work. “The current alphabet soup of competing standards and initiatives can be confusing,” she said. 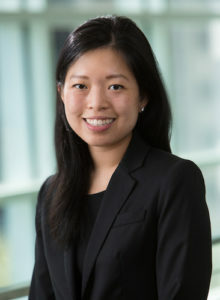 Ms Huang and her team are working to create sustainability metrics with MSCI, the global provider of equity, fixed income and other stock market and asset portfolio tools. The group also works with Sustainalytics, an Amsterdam-based global provider of ESG and corporate governance research and ratings to investors, and with ISS-Ethix, which is subsidiary of global proxy advisory firm, Institutional Shareholder Services and provides sustainable metrics. And the group stays ahead of issues with RepRisk, a Zurich based company that trawls the web to find environmental and social issues that could become financial or reputational risks to a company or investment portfolio. So can BlackRock pick the sustainability successes of the next decade? “We see the macro trends; regulation, climate change, demographic shifts, technological advancement. But it is difficult for us to say which companies will not be around in 10 years time,” Ms Huang says.